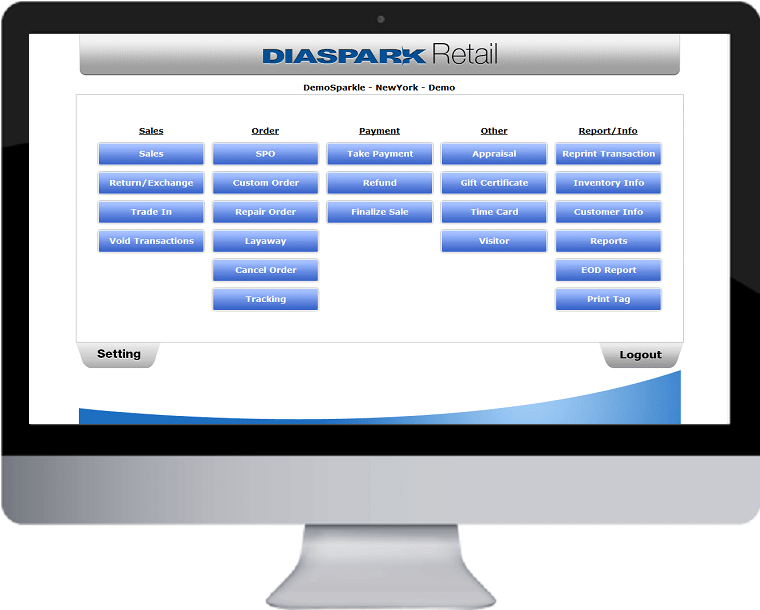 Diaspark Retail is comprehensive and integrated solution for jewelers, it automates every transaction of a retail business operation from handling Point of Sale to Inventory Management and Reporting. It is ideal to all jewelry retailers and wholesalers who look for an easy-to-use, intuitive and robust software solution. Manage all critical retail operations: sales, repairs, payment, etc.